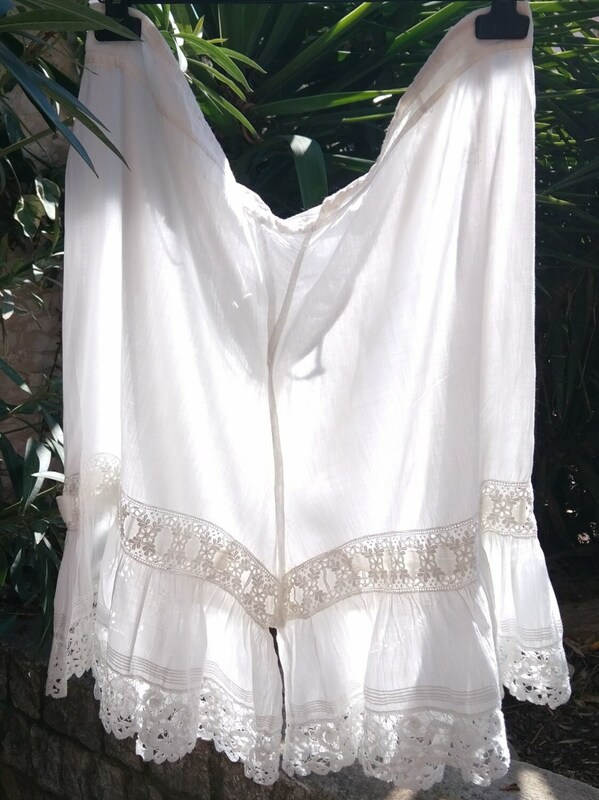 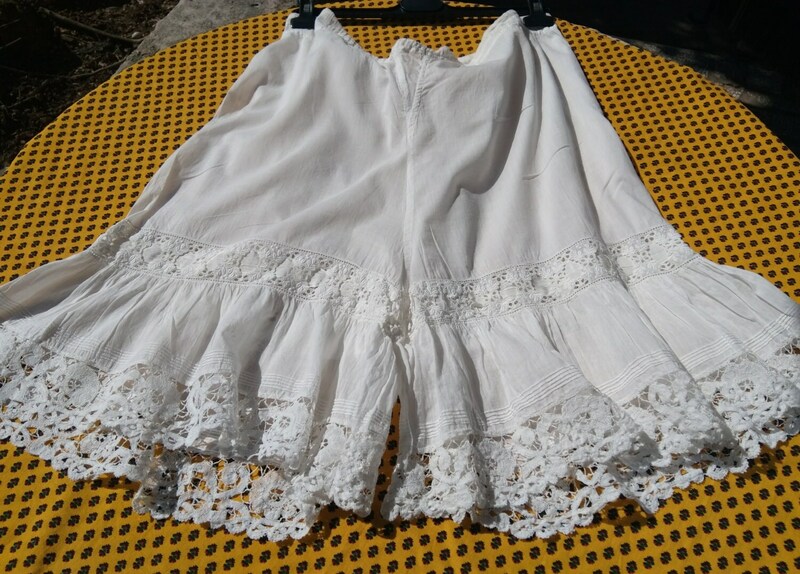 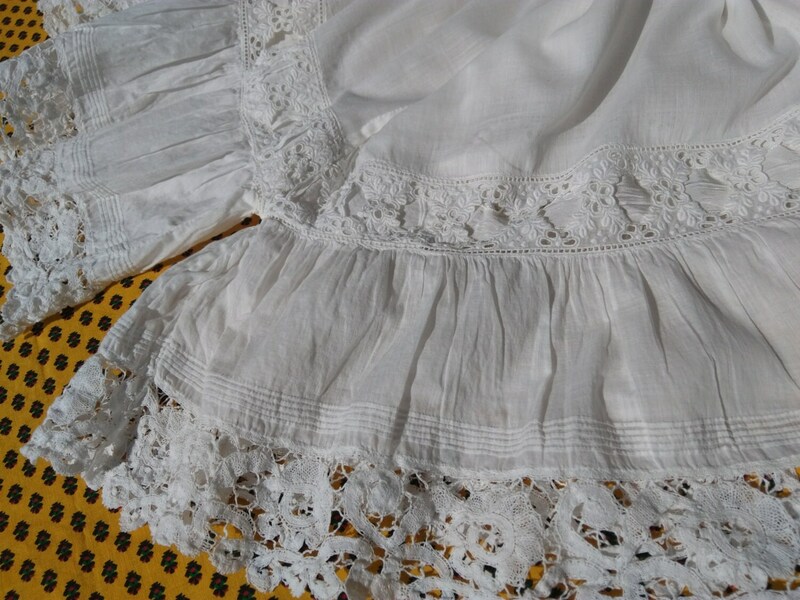 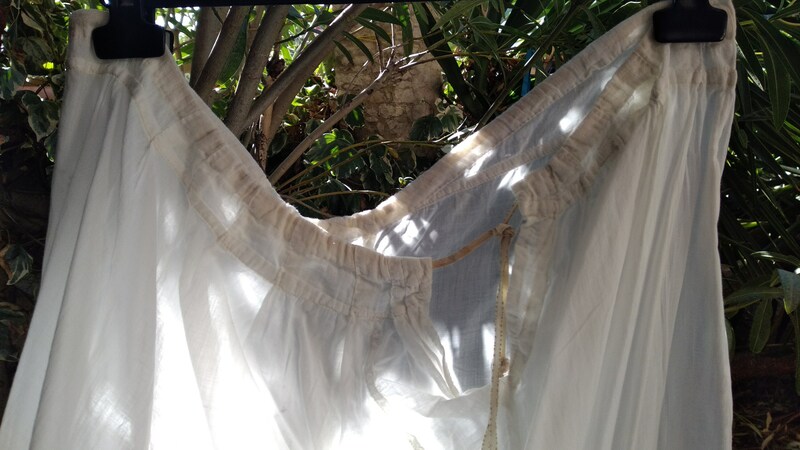 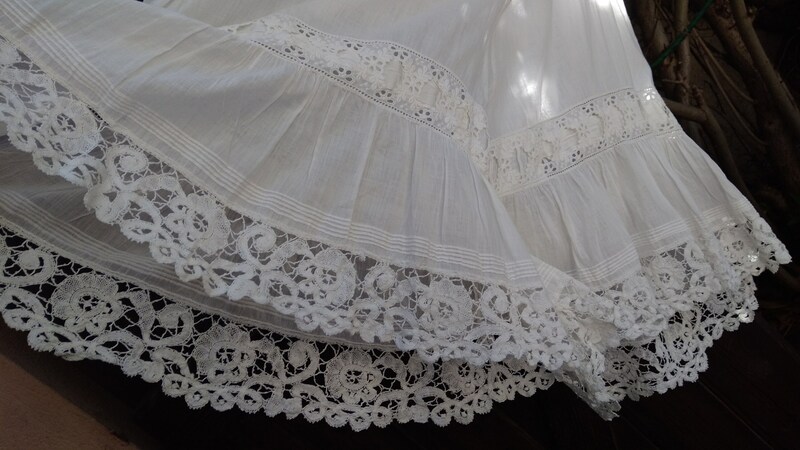 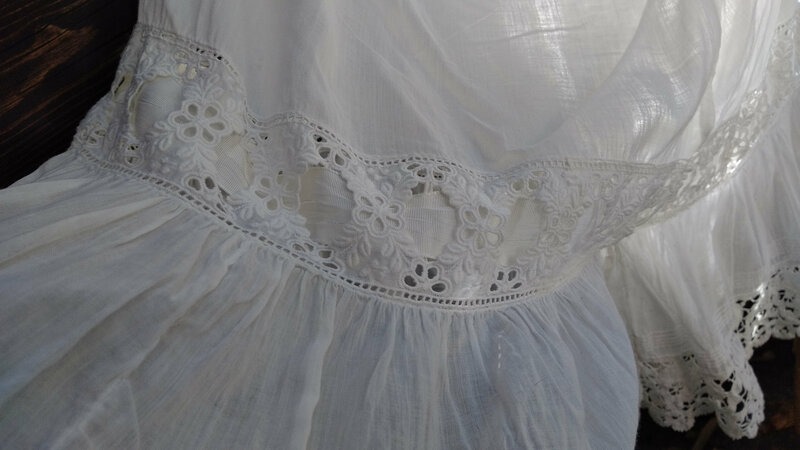 Rare and GORGEOUS white lacy Antique French Cotton Bloomer.Beautiful bottom lace trimmed with white ribbon inlay. 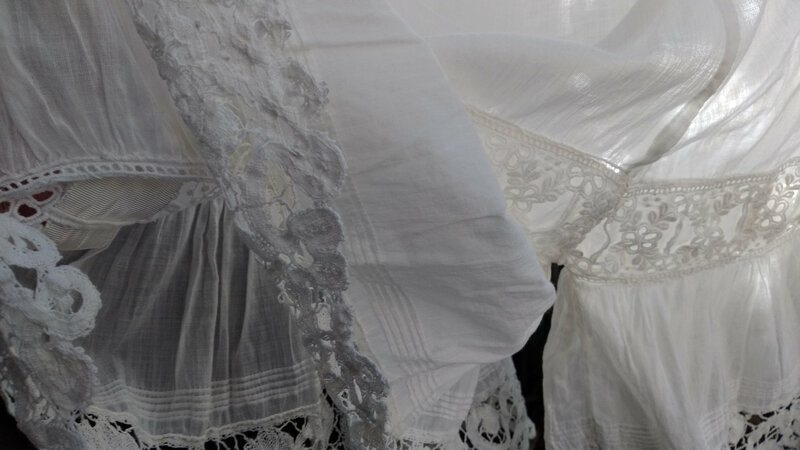 Made of white cotton . 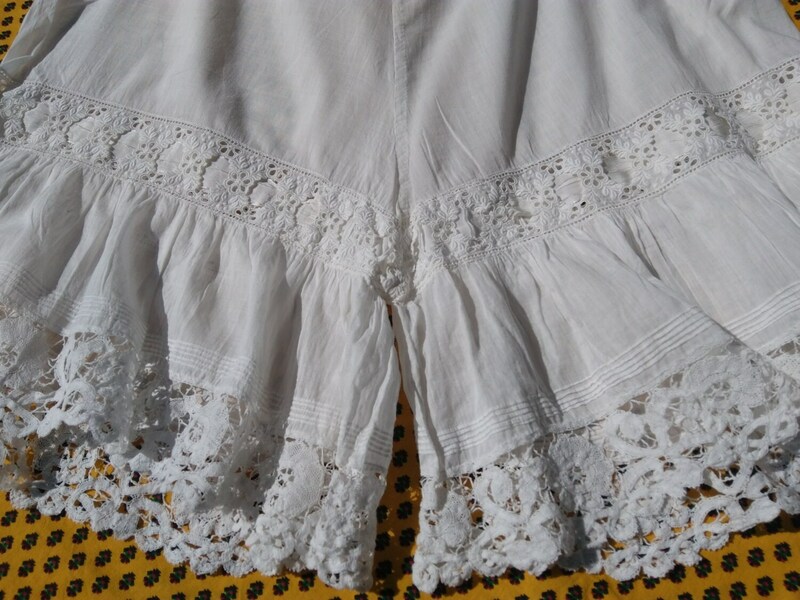 Good vintage condition, small spots. 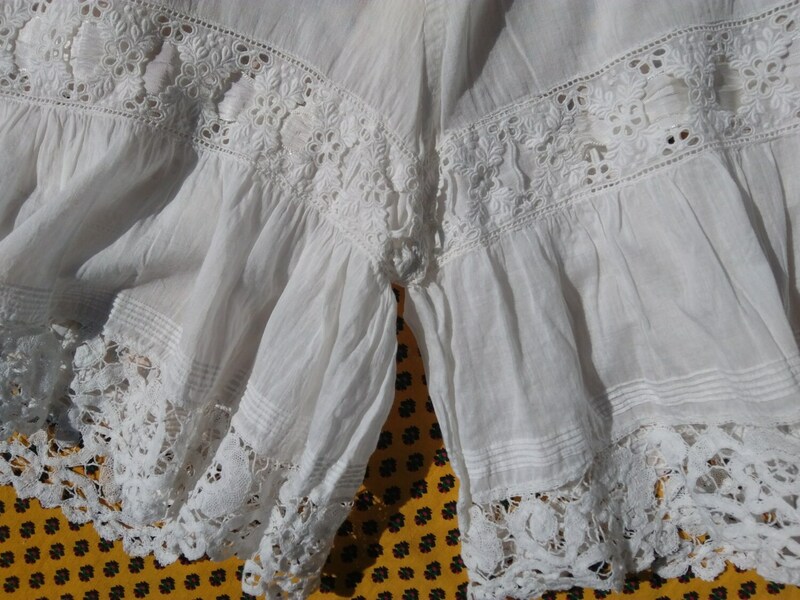 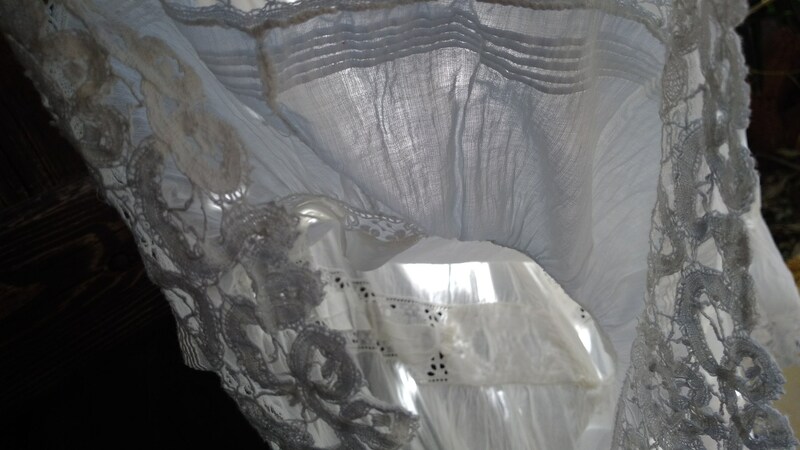 Very beautiful and rare antique lacy bloomer to wear or keep as collectible!